I hope you've had a very lovely Christmas and New Year. I've been reading your twitter and blog updates to see what you've all be up to and looks like Santa was very generous this year. I'm writing this post asking a little favour from my readers out there. 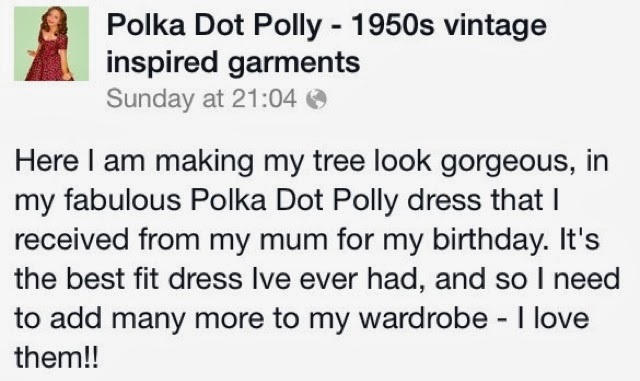 One of my closest friends has entered a competition to win the most beautiful 50's style dresses and needs your help! Like the picture and share it if you're feeling extra generous - but as many likes as possible would be a huge help! Here's her entry, work that tree girl!